Home / Relationship / Can A Narcissist Love Me? Can A Narcissist Love Me? This is such a sad difficult question to answer. Primarily because those of us who love a narcissist really do not want to know the unpleasant truth that the answer is complicated. What’s really true is that the understanding and assumptions about love and how to love of an emotionally healthy person are very different from that of a narcissist. Your understanding of what love is and does is not the same as that of the narcissist in your life. A narcissist can seem to love you. 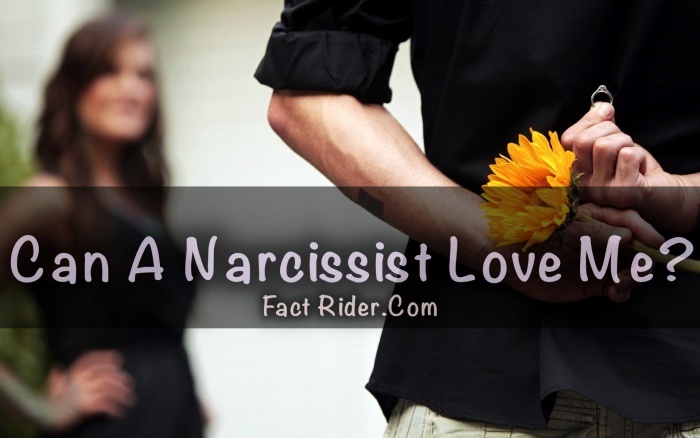 A narcissist can make it look like love. A narcissist can say the words of love. A narcissist can think it’s love. Unfortunately, when involved with a narcissist, you are enmeshed but not in love. You can be enmeshed and mistake that for love. But enmeshment and love are not the same thing. Enmeshment is an unusual relationship situation that can be very hard to identify when it’s happening to you. When you’re involved with a narcissist, it is a natural state of things. Unfortunately a person who grows up to become an adult narcissist did not feel safe to separate from his/her caregiver in early childhood. As a result, an adult narcissist is enmeshed with other people and is unaware that others exist as separate beings. It’s as if one person in the “mesh” does not exist - and it’s you. A healthy relationship involves two separate individuals who merge and connect. There is joy and relief in both separating and connecting. In a relationship with a narcissist, the fact of enmeshment means you are not separate so you can’t connect. It’s as if you exist for the purpose of the narcissist. It’s commonly described as if you are an “extension” of the narcissist. A narcissist acknowledges your existence when you serve a purpose. A person who is not separate from you can not love you because they can not see and know you. It’s as if you are one being — the narcissist. You, as a separate, distinct individual can not be appreciated. In fact, evidence of your distinctness and individuality is confrontational to the assumptions and unconscious world view of a narcissist, and is often met with attempts to maneuver you back into accommodation. Disagreements can feel life threatening to the non-conscious mind of the narcissist because they contradict the invisible mental map of how relationships work. Can you relax in love with someone who thinks there is something essentially wrong with you just for being you, not him (or her)? Admittedly, it can be hard to wrap your mind around the realities described here. Before accepting these ideas, simply try them on. Assess the behavior of the narcissist in your life using the perspective that you are enmeshed; that to the narcissist, you do not exist. See if it helps explain the nature of interactions in the relationship in question. Unaware of the fact of enmeshment, you may stay engaged in an exhausting pursuit of trying to be seen and appreciated by someone who can not see and appreciate you. Most of us assume others are capable of empathy, consideration, respect, un-conditional love. One may stay hooked for a long time trying to make it so — you invest but get very little of emotional substance or emotional support in return. If you find yourself in a situation where it looks like love, but doesn’t feel like love, it may be time to stop and pay attention. If you find yourself stymied by recurring communication problems, or repeatedly feeling ineffective in this relationship, it is time to reassess your situation. I challenge you to ask, “What do you love about me?” and see what response you get. Pay close attention. If your mate can not answer, or will not answer, or tells you the primary reason is because you love her (or him), then you might want to seriously consider your next steps. Educate yourself about narcissism and other personality disorders, learn some new skills for interacting. Make some decisions for your future once you have a good handle on the best ways to take care of yourself. oh Gosh, this is true even if it's your own mother isn't it? I loved her so much but the damage is too great.